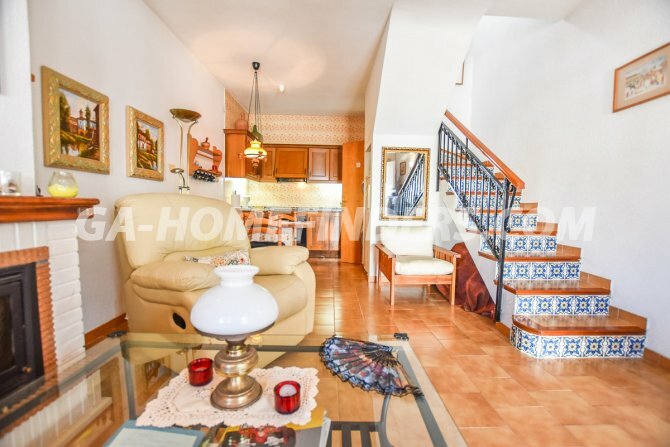 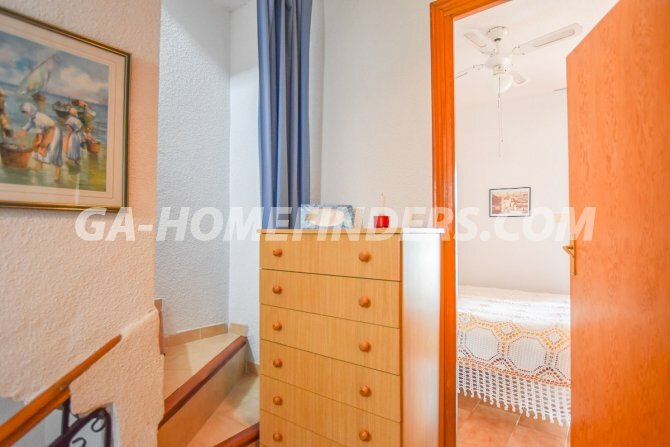 Furnished townhouse with 2 bedrooms and 1 bathroom. 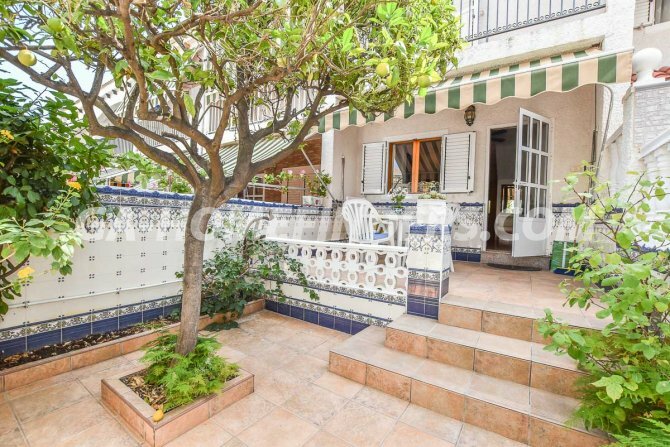 At the entrance of the house there is a large garden terrace with a small porch covered with an awning. 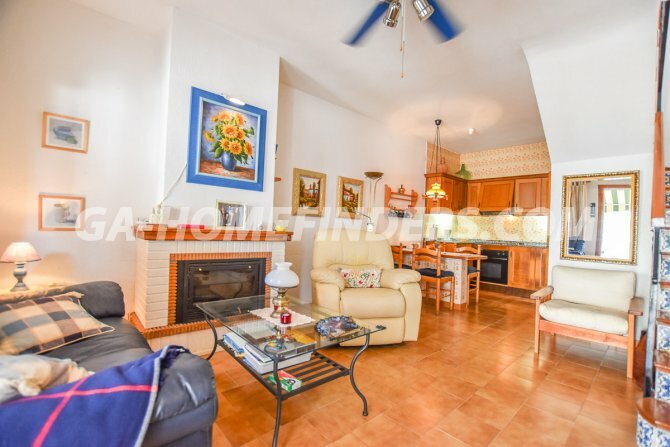 It has a living room with a fireplace, kitchenette with access to a covered gallery. 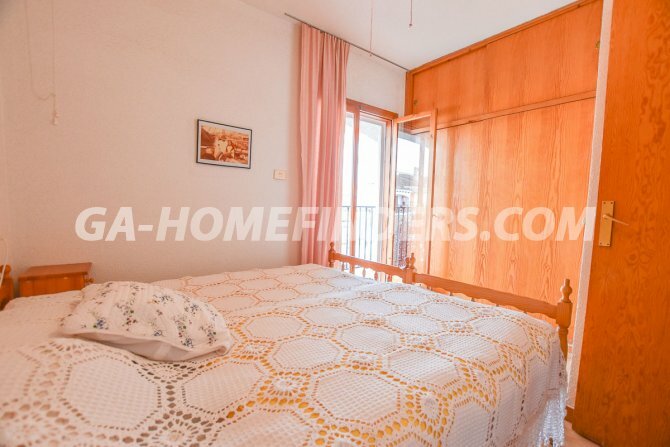 The main bedroom has a built-in wardrobes and access to a juliette balcony. 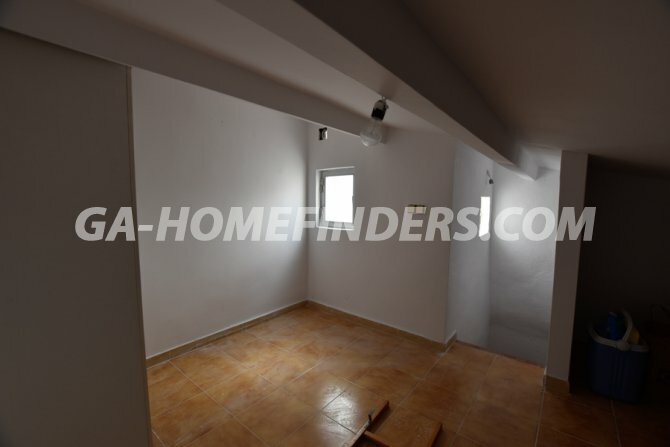 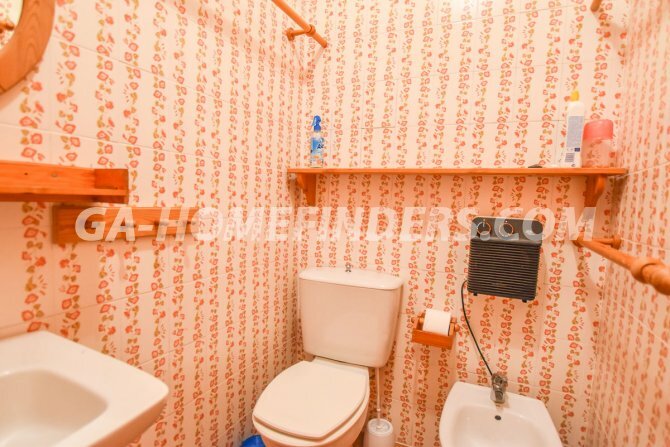 There is also a small attic which is useful for storage. 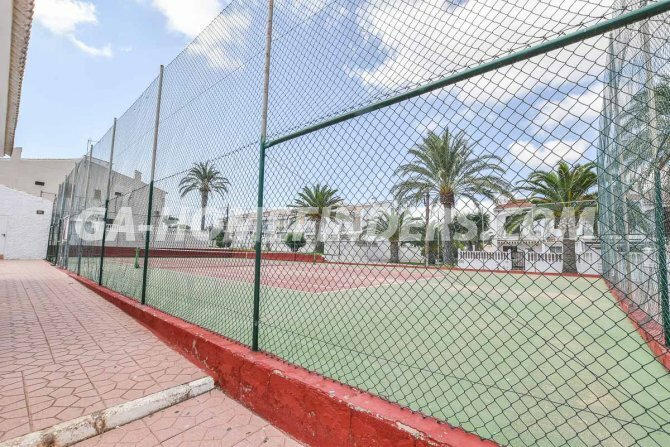 It is situated in a gated community, with a communal pool, tree lined streets, a tennis court and parking for cars. 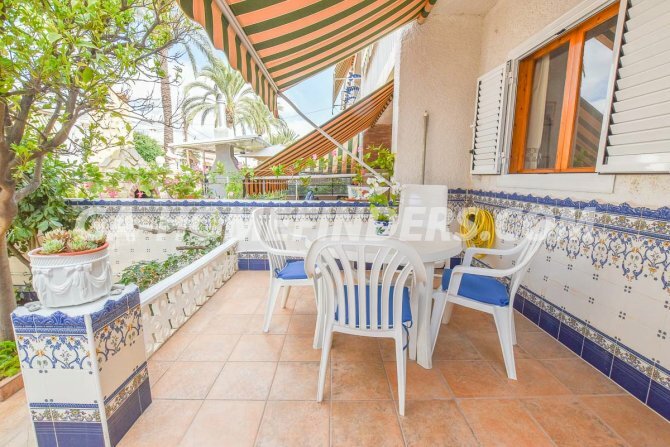 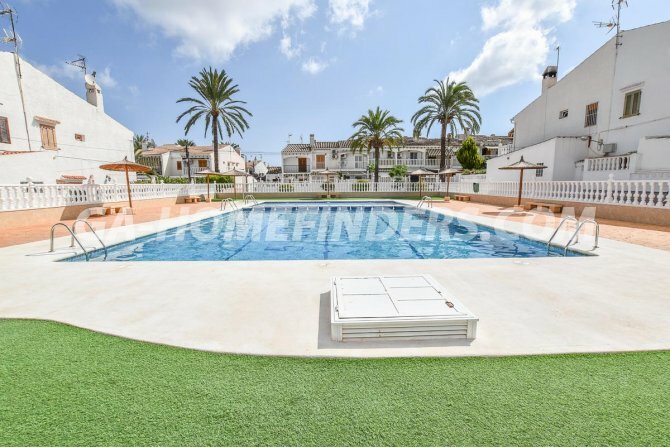 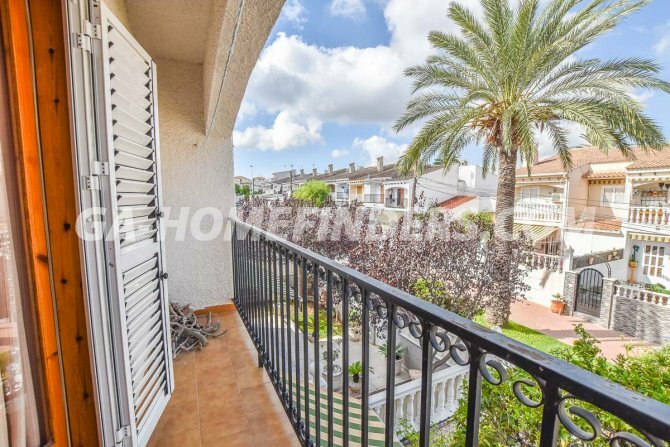 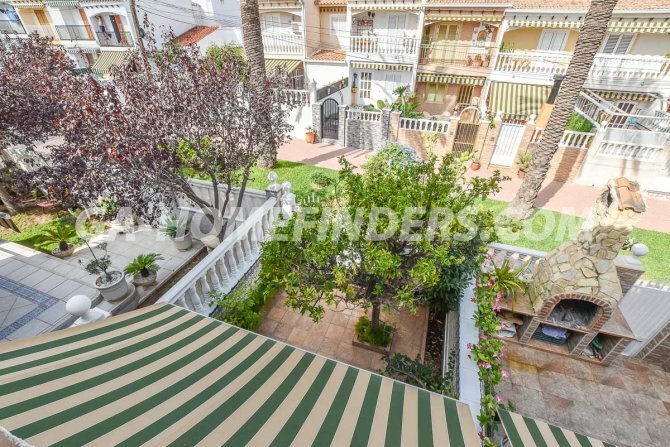 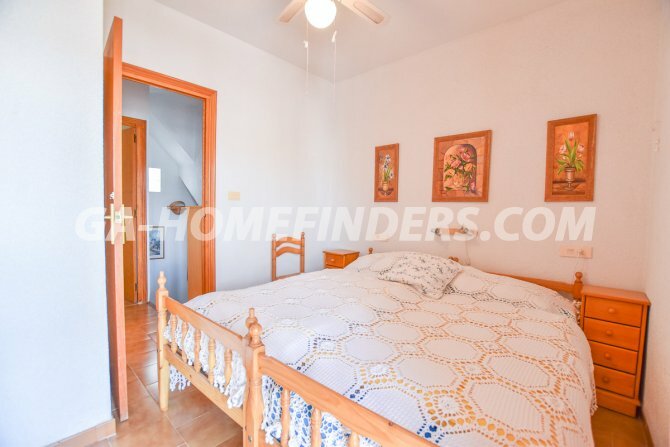 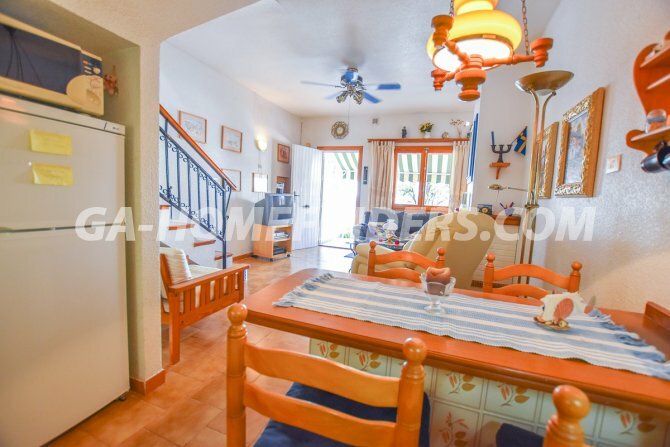 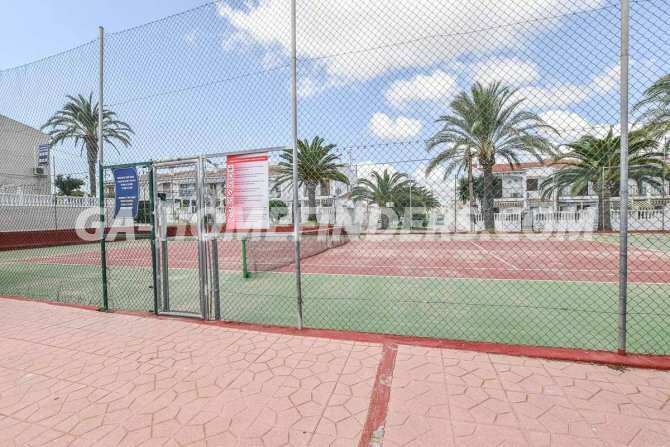 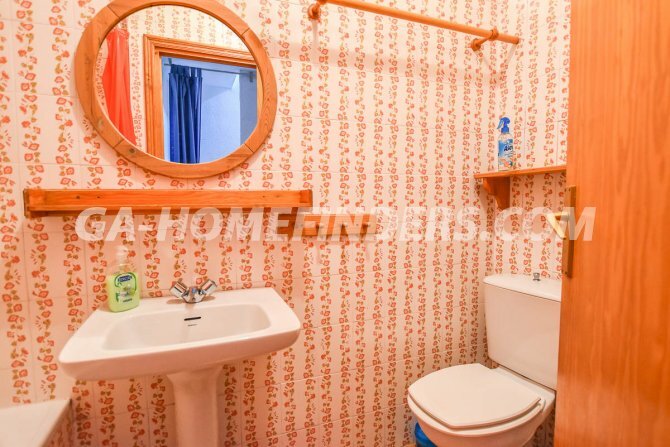 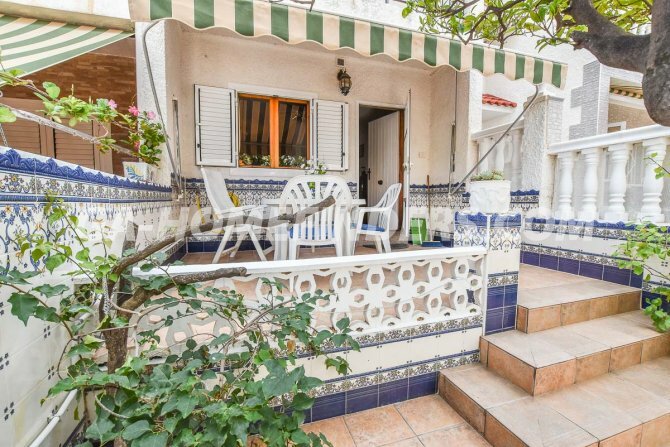 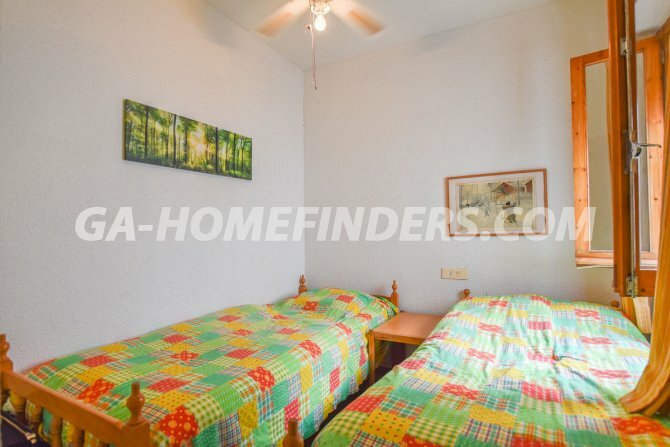 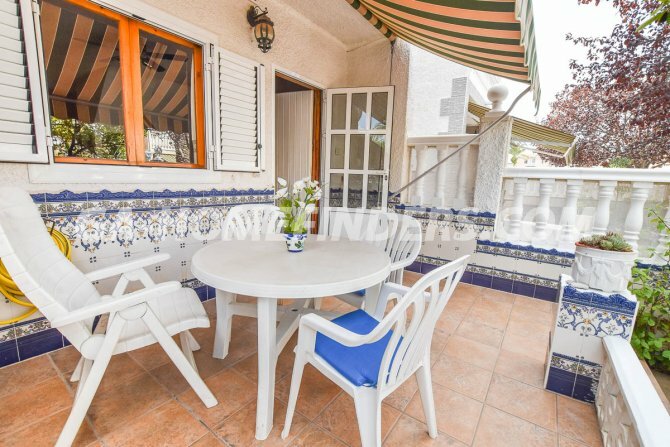 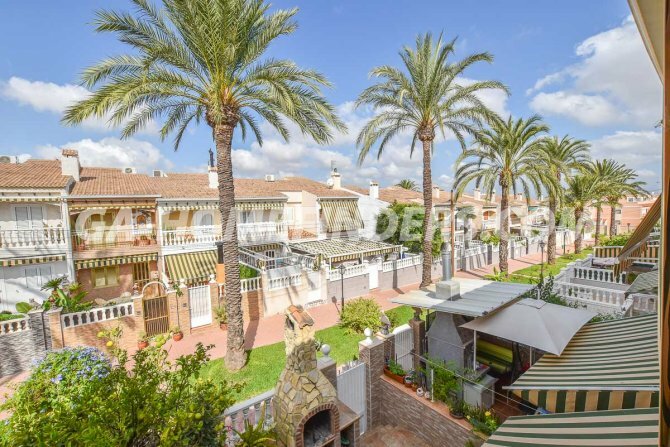 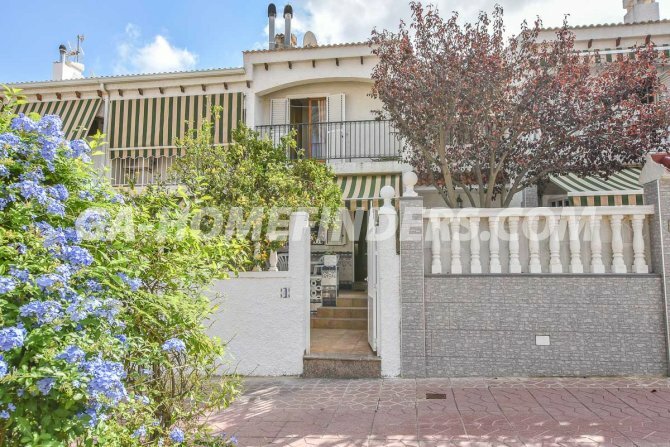 It is in the upper part of Gran Alacant convenient for a range of bars, shops, banks, a small supermarket, a park, public transport and less than 2 km from Carabasi beach.